It used to be that if you were facing foreclosure, it was difficult to find information about what to do. Today, distressed homeowners have the exact opposite problem. There is information everywhere, but it can be almost impossible to tell the truth from the fiction. But there is one fact that you can take to the bank: You have options. As a Certified Distressed Property Expert® (or CDPE), I make it my mission to help you separate the myth from the reality about the options that are available to you. Understanding your options and acting can help relieve the burden of your mortgage. I’ve created a report that outlines some of these options. 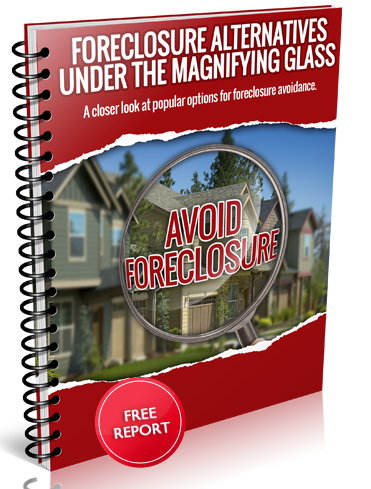 It’s entitled “Foreclosure Alternatives Under the Magnifying Glass” and it is available on my website. Download it, read it, and then contact me for a free, confidential consultation!